At Bodywork Professionals, we provide massage services to relieve pain, restore motion, promote relaxation, improve balance, and enhance wellness. 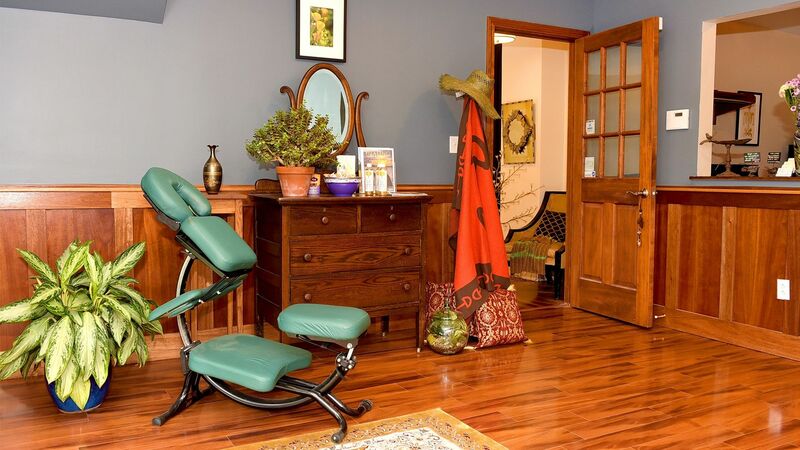 We offer a full range of expert massage therapy and bodywork services at our locations in downtown Saratoga Springs and in Latham, conveniently located between Clifton Park, Albany, Schenectady and Troy. Voted the Albany Region’s Best Massage Therapists four times! We believe the best massage and bodywork services are both an art and a science. Our fully licensed massage therapists have studied anatomy, movement, and body functions; their continuing education in massage and bodywork opens the door to creative, client-centered, therapeutic soft tissue applications. As bodywork practitioners, we believe in your body’s powerful ability to heal. We put those beliefs into practice through Swedish massage, deep tissue bodywork, craniosacral massage, Thai yoga massage, Rolf Structural Integration, hot stone massage, and pre-& post-natal massage. Whatever your situation, we will help you select customized bodywork and massage services to improve your health and well-being. Our famous letterpress made gift certificates are hot off the letterpress. The 2019 certificates are printed on Strathmore 100% cotton DTC paper. They have been through a 4 process printing procedure and finished with a gold foil emblem as a member of the Bodywork Guild. We go through all this trouble and use awesome paper because we want the gift you give your loved one to promise something special. The quality of the paper, and the unique hand made character of each certificate are a promise caring quality that we bring to each massage session with us. Shipped to you Door – PayPal: We use PayPal to process gift certificates online. We’ll ship them directly to your door or to your loved one. Digital or Account Certificates – Print or email gift certificates or add session to your account with Mind Body. Click on the links below to view open appointments. At Bodywork Professionals we see everyday how massage and bodywork can affect a person. It’s not just about feeling good during the session, but also giving thanks to your hard-working body, addressing pain before it grows, and freeing your mind by relaxing your body. A bodywork or massage session says that you’ve paid attention to what you are feeling and done something about it, to move yourself toward health! Swedish Massage is the most common form of massage used in the United States. The benefits of this type of massage are abundant. Deep tissue work focuses on deeper layers of muscles and connective tissue. Rolfing or Structural integration is a soft tissue approach to re-establishing natural alignment. Craniosacral Therapy is a gentle, hands-on method of evaluating and enhancing the functioning of a physiological body system called the craniosacral system. Thai massage is a type of massage that involves stretching and deep massage. This therapy is relaxation and deep tissue treatment combined. Infant massage helps mothers bond with their babies. Research shows that massage and touch also help infants in their developmental growth. When you come in for your first visit, you’ll sit down with your therapist to discuss your specific needs and goals. Next, we’ll help you choose the appropriate type of bodywork.Emergency? Call us and we’ll work to schedule a last minute appointment with a qualified massage therapist.Our Latham office is located at 578 New Loudon Rd. || Saratoga Springs office is located at 11 Spring Street. Welcome Andrew – Our New Structural Integration Practitioner! Free Sweetheart coaster with every purchase! Emily is great, I have had knots in my back for years, she is progressively working them out. She is thorough, enthusiastic about what she is doing and eager to help. Great new location in the heart of downtown Saratoga Springs! Nick went out of his way to stay late for my 1 hour massage which was amazing. He was very personable and professional throughout my experience. Will definitely be recommending my guests to Bodywork Professionals! Thank you again Nick, I will be back! Absolutely the best massage I had. It was something new and different (Thai Massage) done by Becky. She was friendly, professional and really did an amazing job. I felt so relaxed, rejuvenated and at peace after I left the place and still do 🙂 . My sister had the same massage done as well and said she loved it. Thank you for the wonderful service! As a professional touring drummer that plays over 250 shows a year during a tour cycle, I rely on various forms of alternative medicine/holistic healings to stay active and to keep repetitive strain injuries to a minimum. After initially being introduced to SI on tour in 2004, I immediately sought out a practitioner in my area once I returned home for an extended period of time. After completing the 10 series with Nick Pavoldi, I felt my body energized, realigned, and most importantly revitalized. I just want to thank you for recommending Heather for my massage. She was EXACTLY what the Dr ordered. As you may recall, I am stiff as a board and its really hard to get my trouble spots loosened up, but she was able to find a knot under my right shoulder blade I had been trying to get loose for a year. Oh my goodness it feels so much better! She has the best elbows and fingers for digging in for deep tissue massage in troublesome knots. I still feel the difference she made because I don't feel the tightness I had gotten so used to...I took that tightness as a normal thing it had been there so long. I will definitely see her again. Thanks again! As a professional,touring drummer that plays over 250 shows a year during a tour cycle, I rely on various forms of alternative medicine/holistic healings to stay active and to keep repetitive strain injuries to a minimum. After initially being introduced to SI on tour in 2004, i immediately sought out a practicioner in my area once I returned home for an extended period of time. After completing the 10 series with Nick Pavoldi, i felt my body energized, realigned, and most importantly revitalized for next grueling tour cycle. Years later I still see Nick regularly for the occassional “tune-up”, and I have found his work to be effective, as well as essential, for keeping me in top form! Thank you so much for working with me using Structural Integration. After today’s session, I felt really great! Taller, more open through the front of the body, and like I could walk with longer strides. That is really relieving and happy for me, as tightness in my hip flexors has been an ongoing struggle for years. I thought to myself, “I am going to need to repeat this session again in the future for sure!” I also truly appreciate our professional dialogue and interaction.